OUR PRICE: $21.25 - Join Rewards Get $2 Dance Dollars On This Item! 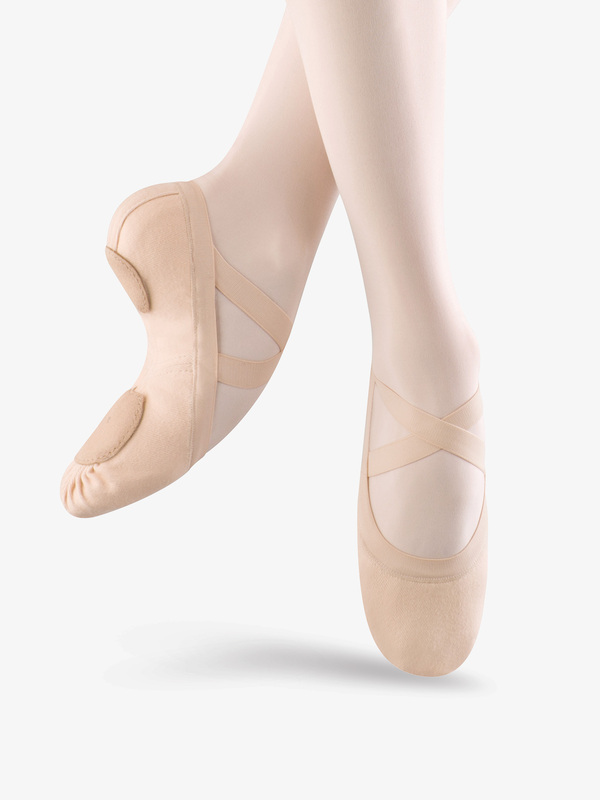 Dancers who love Bloch's Zenith ballet shoe will love the Synchrony split sole ballet slipper! Features include an ultimate stretch canvas, a wider toe, wider outsole shape, wide elastic around the top line and crossed elastic at the instep. We love Bloch but these were odd. Wish I could return as they are not snug due to the elastic on the side is strange. Was thinking they would be higher quality than the So Danca we normally buy. But they were just off. Went to a local store and bought the So Danca. Oh well! My daughters current ballet shoes are size 13 in Capezio. I decided to try these new ballet shoes for her. I ordered a size 1. They run small. I wish I had ordered a bigger size but she really likes how they fit. They appear to be better quality and the sewn in elastic and no strings to tie and tuck in for an 8 year old is a plus!! Are the slippers size the same as regular shoes/tennis size? This shoe is fitted to be comparable to street shoe sizing. Please refer to the sizing guide on the product page. Please see the sizing tab on the right side.